In the last post, we read introduction and Chapter 1 of Kakasaheb Dixit Dairy. We shall now proceed to Chapter 2 of the same. 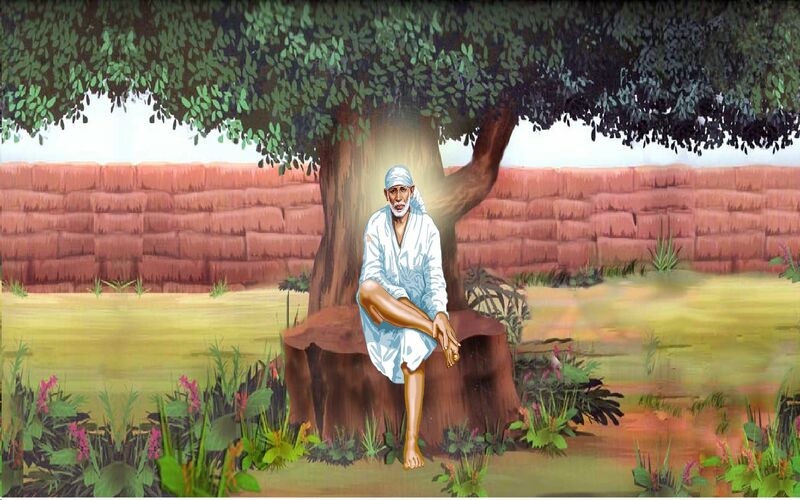 Once Lord Sai Baba appeared in Shama’s dream to inquire whether he had been to Govardana Das’s house. On receiving negative answer from Shama, He said, “Govardan’s mother is no more, so you should go and console him. Shama had no doubt in Lord Baba’s words, so he went to meet Govardan the next day at about 3 P.M. On reaching, he found that Lord Baba’s words in his dream were absolutely true. Govardan’s mother died the previous day and Shama was sent there timely. A person named Dwarkanath come to Shirdi. He carried a letter for Lord Sai Baba which was given by his uncle to be given to Lord Baba. Dwarkanath’s uncle had described his daughter’s health issues in the letter. When the letter was handed over to Lord Baba, He whispered that she will pass away soon. I (Kakasaheb Dixit) heard these words distinctly, but others could not. Later on, when the letter was read out to Lord Baba, Dwarkanath asked Him, “When can I bring my wife here?” Lord Baba said, “She will herself come to my place after four days”. On fourth day, she passed away and Lord Baba’s words came true. Once on Guurpoornima, Hemadpant came to Shirdi alongwith his family. The money which he had brought with him got exhausted in two days leaving him penniless. After one day, I and Moreshwar Pardhan reached Shirdi. Pradhan was also left without money soon. Next day, Lord Baba asked for dakshina from Pradhan. He said, “I do not have any penny with me”. Lord Baba said, “Go to Anna Sahib (Hemadpant) and get the money”. Pradhan knew that even Hemadpant’s money was exhausted. But Lord Baba’s command had to be followed. So without saying a word, Pradhan went to Hemadpant and asked for money. Hemadpant was rather perplexed at such a demand of Pradhan. He questioned, “How did you know that I have money with me now? Just now a person residing in Bandra got money for me.” Nobody knew about this affair because it happened a few minutes ago before Pradhan went to Hemadpant, but what was secret from the divine vision of Lord Baba? A Muslim devotee went to Lord Baba. His friend who was Brahmin by caste was sentenced to death. The devotee requested Lord Baba to save his friend from this punishment. Lord Baba blessed him saying, “He will be blessed by God in four days.” At the said time, the Brahmin was released on an appeal and he was freed from death sentence. Shri. Chidambar Gadgil was a devotee of Lord Ganesha. He was also devoted to Lord Baba and saw Lord Ganesha in Him. He did pooja to Lord Baba in the way as he did to Lord Ganesha. Lord Baba wanted to confirm his faith in Lord Ganesha and once when Gadgil was worshipping Lord Baba, He suddenly spoke, “This old man is a deceiver. Throw this Mahatara (an endearing name for fellow devotee) out, he says that there is a rat below my gaadi (mattress).” Gadgil was happy to note that Lord Baba accepted his worship and his seeing Lord Ganesha in Him. It is described in Chapter X of Shri Sai Satcharita that “Sai Baba never thought of making the least show of His worth (piety). He had no Body-consciousness but He had great love for His disciples. If anybody went to take His darshan, He, without being asked, would give every detail of his past, present and future". I am so happy to read all the beautiful leelasof Kakashaheb Dixit. When I read about all these people I feel I know them. You aare just wonderful to get us these beautiful memories. i am thankful to you so much for publishing this.may god bless you with health,wealth and peace.